TO PERSEVERE BY DEMONSTRATING A STRONG AND HUMBLE WORK ETHIC. Spencer’s 17 yearlong pursuit of an Olympic dream began when he was 9. It included moving away from home at age 14, living with countless host families and attending 3 different high schools. He became an elite level athlete at the Olympic Training Center in Colorado Springs. 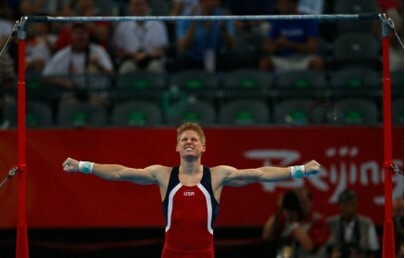 Though Johnson’s pursuit didn’t end with a spot on the Olympic team, he retired from the sport ranked in the top 30 gymnasts in the U.S. Shortly after retiring, Spencer learned that his true gift was not in competing, but coaching. In 2013 he started a boy’s program that quickly became the fastest growing program in the state of Iowa. In 2014 Spencer was voted in as USA Gymnastics Iowa State Chairman. Since accepting the position, enrollment in boys’ gymnastics, for the state of Iowa, has tripled. In 2016 Johnson’s boys brought home several national medals including a gold medal national title. 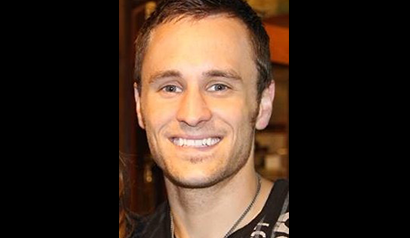 Spencer was awarded USAG Iowa Men’s Gymnastics Coach of the Year. He recently became an American Ninja Warrior and battled the course all the way to the Las Vegas Finals. Spencer attributes a big part of his success to his wife, Katie, who he met, when they were 12, attending the same gym. Katie has worked in early childhood education for over 10 years and was also a gymnast for several years. Spencer states that his wife’s surpassing knowledge in early childhood, rival determination and unparalleled skills as a mother continues to motivate and uplift him and people around her. Together they have proven to have created not only a strong educational curriculum but also a contagious environment. not too many people on this planet that have the heart Spencer has. If you want to get your child involved in gymnastics and you want a coach that will be there, every step of the way, motivating and changing their life. ...an awesome gymnast, an amazing teammate, and just a great person to be around. ...intensity and drive to excel in everything that he does is unparalleled. 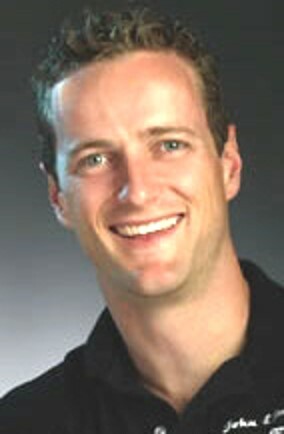 Spencer is not just an outstanding gymnastics coach, but all around educator and developer of people.